Danny Zuko and Sandy once had their classmates begging them to tell them more about their incredible summer and the amazing person they met. Well now, it looks like that moment could be coming. Paramount Studios is reportedly working on a prequel to the classic 1978 movie musical. The Hollywood Reporter said that the new film, titled "Summer Loving," would focus on how Danny and Sandy first met, a story the pair recounted in the original movie during the song "Summer Nights." THR said that John August, writer of such films as "Big Fish" and "Charlie and the Chocolate Factory." has been tapped to write the script. Olivia Newton-John readies herself for her role in the movie version of "Grease," in Los Angeles, Aug. 30, 1977. Ms. Newton-John star with John Travolta and Stockard Channing in the film. "Grease" has had its fair share of remakes and spin-offs through the years. 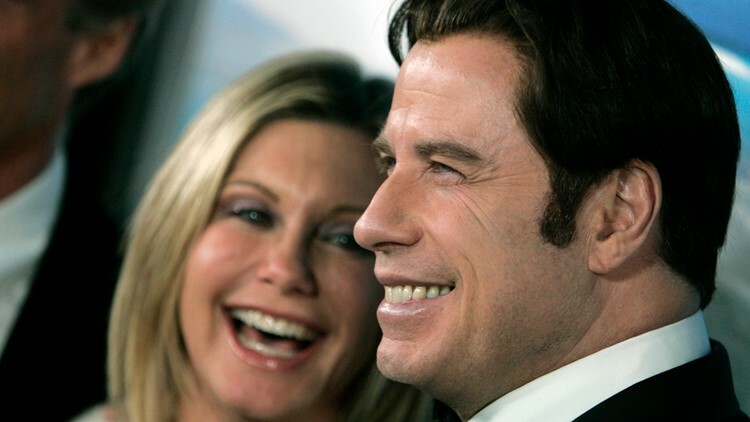 Olivia Newton-John, left, and John Travolta pose for photographs during arrivals to the Australia.com Black Tie Gala, at Hollywood & Highland in Los Angeles, Saturday, Jan. 19, 2008. In 1982, "Grease 2" took movie goers back to Rydell High but with an almost entirely new cast. In 2007, NBC featured a reality series to find the next Danny and Sandy to lead a Broadway revival. And in 2016, Fox aired a live TV production of "Grease" starring Julianne Hough, Aaron Tveit and Vanessa Hudgens.